Investment casting, often referred to as precision casting or lost wax casting, uses pouring process to achieve complex forms by an expendable-mold. It is the casting technique that can achieve exceptional accuracy for products both small and large, in a wide range of materials. To create a tree assembly, a wax pattern is dipped into ceramic material. Once the ceramic dries, it is placed in a kiln which hardens the ceramic and causes the wax center to melt and run out. Molten metal is then poured into the cavity, and once solid, the tree assembly is broken to reveal the final cast metal object. The process , dated back to thousands of years ago, is one of the oldest known metal-forming techniques. Current lost wax investment casting technique has been improved and refined through history to meet the demands of modern industrial production. Understanding the investment casting process is valuable to understand how it differs from forging or other methods. Wax Injection: Wax is injected into tooling to form replicas of the desired castings. We call these replicas wax patterns/models. Assembly: The wax patterns are attached to a central wax runner bar, to form an investment tree shape. Shell Building: Immersing the tree in a liquid ceramic slurry to build a shell and then coating in a refractory product. This step may apply up to 5 layers. This stage is the creation of the “Investment mould”. 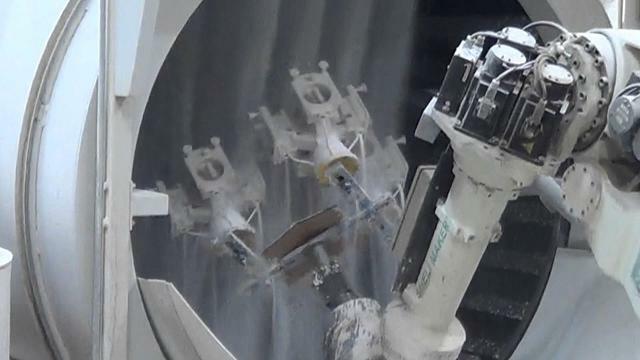 De-Wax: Once the ceramic shell is dried, the wax is melted out, using an autoclave creating a negative impression of the assembly within the shell. Casting: The investment mould trees are fired in an oven and pulled out while hot. The shell is then filled with molten metal by gravity pouring. After the mould has been filled, the molten metal is allowed to cool and solidify into the shape of the final casting. Cooling time depends on the thickness of the part, thickness of the mould, and the material used. Knock Off: When the metal has cooled and solidified, the ceramic shell is broken off. Cut Off: The parts are then cut away from the central runner bar using a high speed cut-off saw or band saw. Finishing: Finishing operations such as shot blasting or sand casting are used to smooth the part at the gates. Heat treatment may be specified to add further treatment to the final part. Inspection: All parts are inspected for quality and shipped to the customer. Alloys of investment casting can be chosen from a range of steels and iron as well as aluminum alloys, and other alloys to suit most application purposes. Your own special alloys may be also made up in our investment casting technique by the chemical compositions. Australia is China’s fourteenth largest country trade partner. In 2011, Australia became China’s eleventh largest export destination, accounting for 1.8 per cent of total exports. Australia is China’s fifth largest import source accounting for 4.7 per cent of total imports. In Australia, there are also lots of Australian investment casting companies. The costs associated with manufacturing investment castings in China and in Australia are very different. In Australia, both the material and wages are much higher than they are in China. In order to be more competitive and achieve, more and more companies from Australia turn to our Foundry in China for their investment casting products. As they have to pay more if manufacturing their products in a local investment casting foundry, which will be less competitive. How Australia Companies Import Investment Castings from China? Choosing a reputable Chinese investment casting supplier, like CFS foundry, is crucial when buying investment castings from China. First, you must know that the supplier is entirely and solely responsible for the products that they make . Second, keep in mind that the manufacturers are experienced in exporting goods to overseas companies, especially Australia market. If your supplier is not familar with the whole exporting procedures, your products may be held up at customs. Do note that this actually happens fairly frequently in China. It will, at the very least, bring you logistical headaches and extra costs (in terms of storage and delays), and port authorities could end up keeping the goods and absolutely prohibiting their entry into the country. In this sense, it’s advisable to go and get to know the investment casting factory and the products in person. 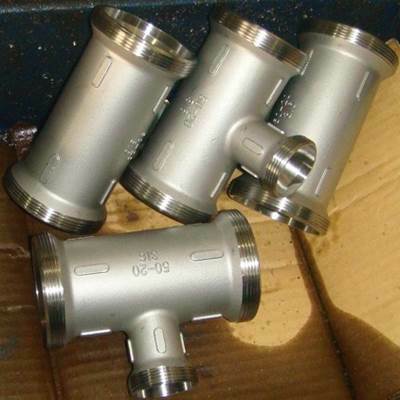 It also helps to be accompanied by a investment casting specialist who understands the technical problems that can arise in relation to the product.